Due to a record amount of rainfall and inclement weather, Marriott was (60) days behind schedule in building a sales center and model of the timeshare product that they were going to be marketing. Affordable Structures was asked to provide a prefabricated sales office that would meet the architectural criteria and put the project back on schedule. 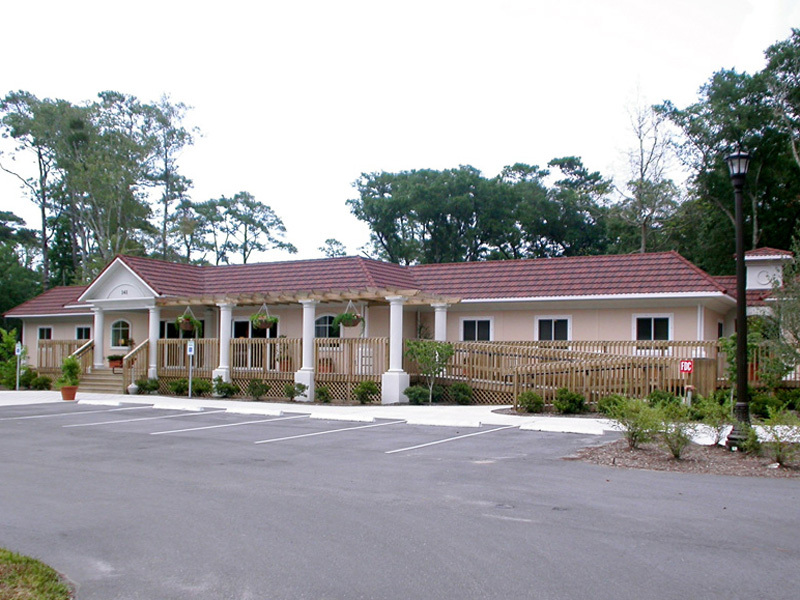 ASI worked closely with the designers and engineers to design and build a prefabricated sales office that met all of the clients requirements for aesthetics and quality for both the sales center and the timeshare model. The end result was two beautiful separate structures with connecting decks that were built and installed within seventy-five days! For more information on this particular modular sales office case study or to get a custom quote on your own modular construction need, contact us today.